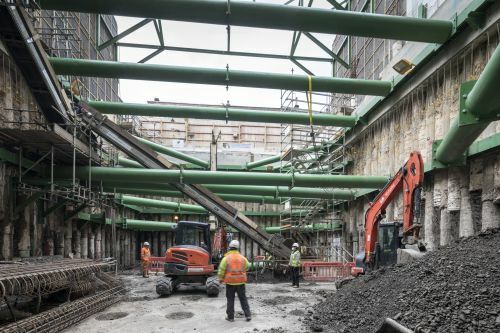 This challenging project entails both the sensitive restoration of Grade II listed buildings and collaboration with physicists on the careful integration of cutting-edge proton beam technology. The therapy centre is located in two adjacent Georgian buildings in Harley Street, the area with a reputation for top quality medical treatment. While both these listed buildings are being retained and restored from the ground floor up, their rear mews houses, connecting buildings and the mews road are being demolished to accommodate construction of a 15metre deep basement. This will house the proton accelerator, a new compact linear design developed with scientists from the CERN research centre in Switzerland. The mews buildings and road are to be reinstated to retain the visual character of the area. 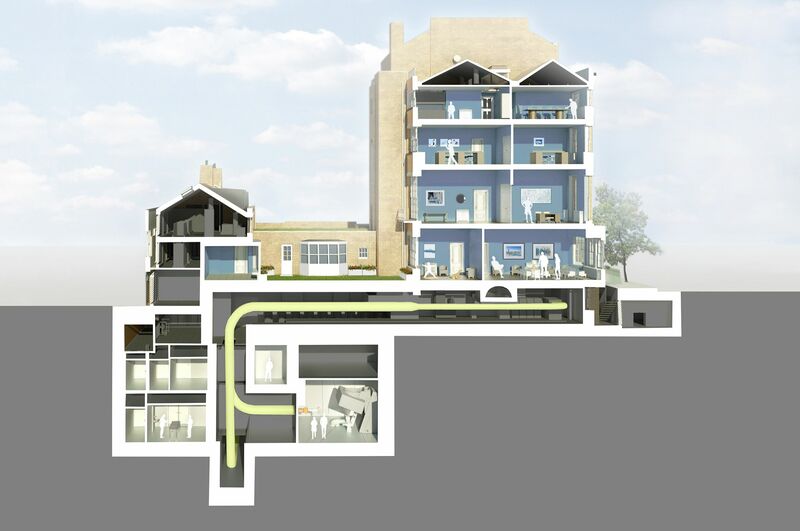 The result will be two contrasting spaces – the traditional, homely environment of the listed buildings where patients meet the oncology consultants and prepare for treatment, and the crisp, modern interiors of the basement levels housing the innovative proton beam technology. Sonnemann Toon understand the complexities of healthcare design. They have helped us with many of our more demanding refurbishments projects, including the challenge of coordinating the design for the installation of a Proton Beam Therapy Centre within a Grade II listed building in Harley Street. We are delighted, that with their support, the project has now gained planning permission.